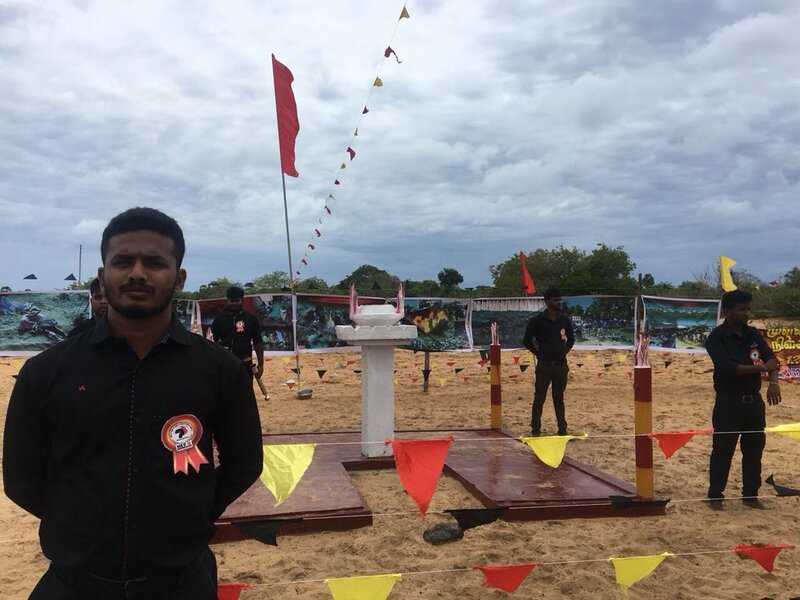 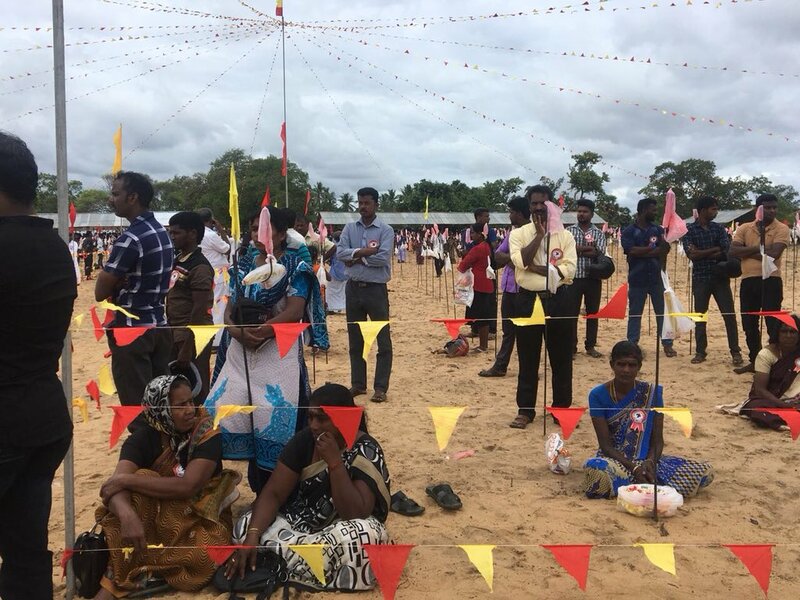 Crowds have begun to gather this morning at Mullivaikkal memorial ground ahead of the remembrance event planned to start at 11am local time. 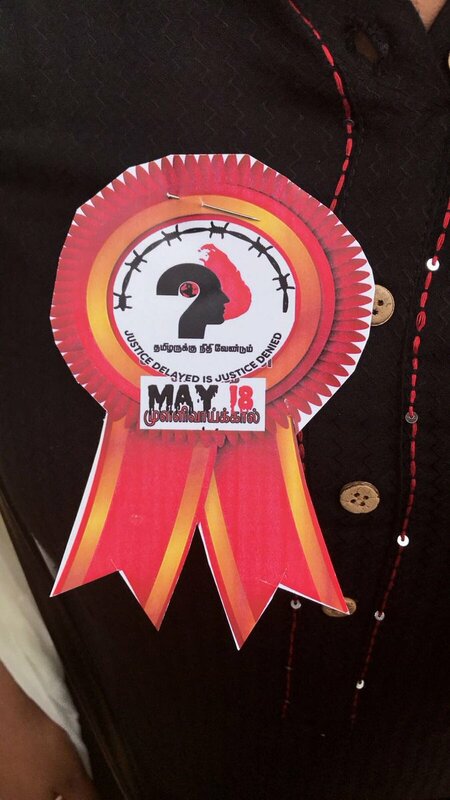 School students and families of the disappeared who have been holding continous protests held out May 18 rosettes. 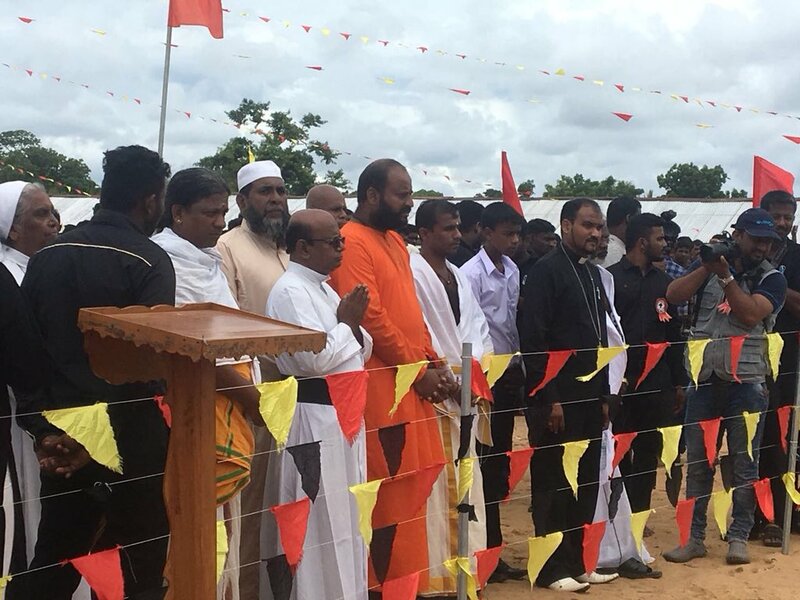 Hindu, Christian and Muslim religious leaders were also seen to be present ahead in preparation of today's event. 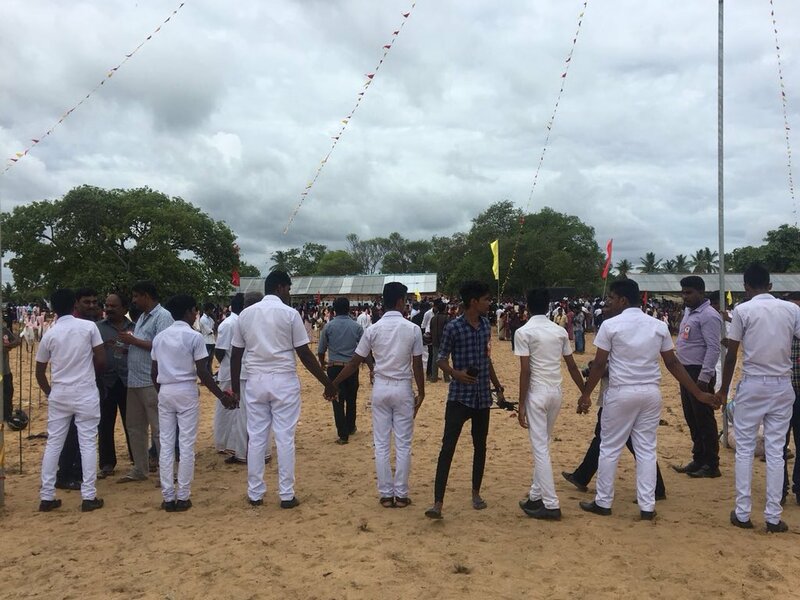 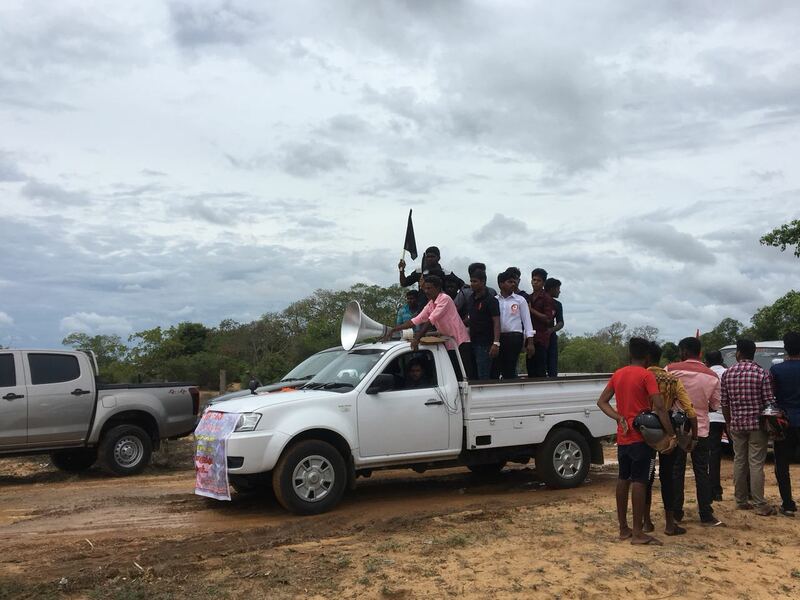 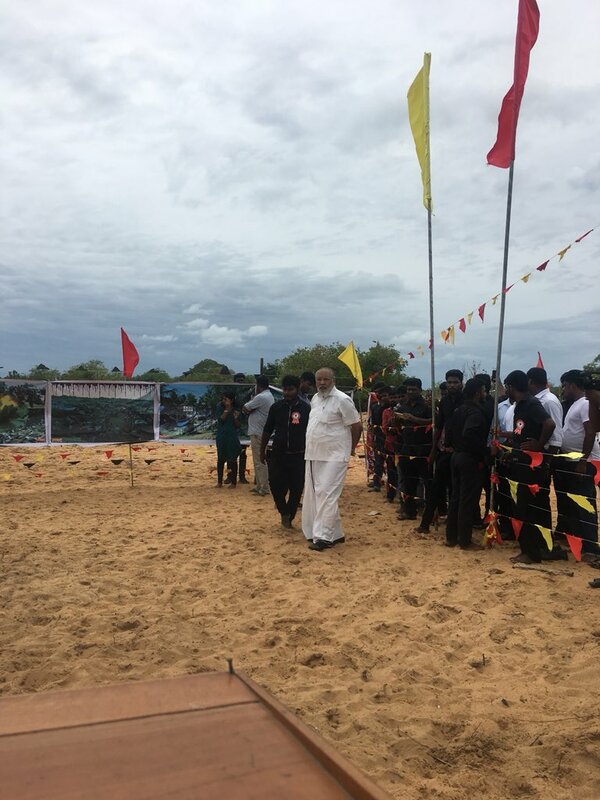 Jaffna university students who led a procession of motorbikes to Mullivaikkal arrive at the memorial ground.